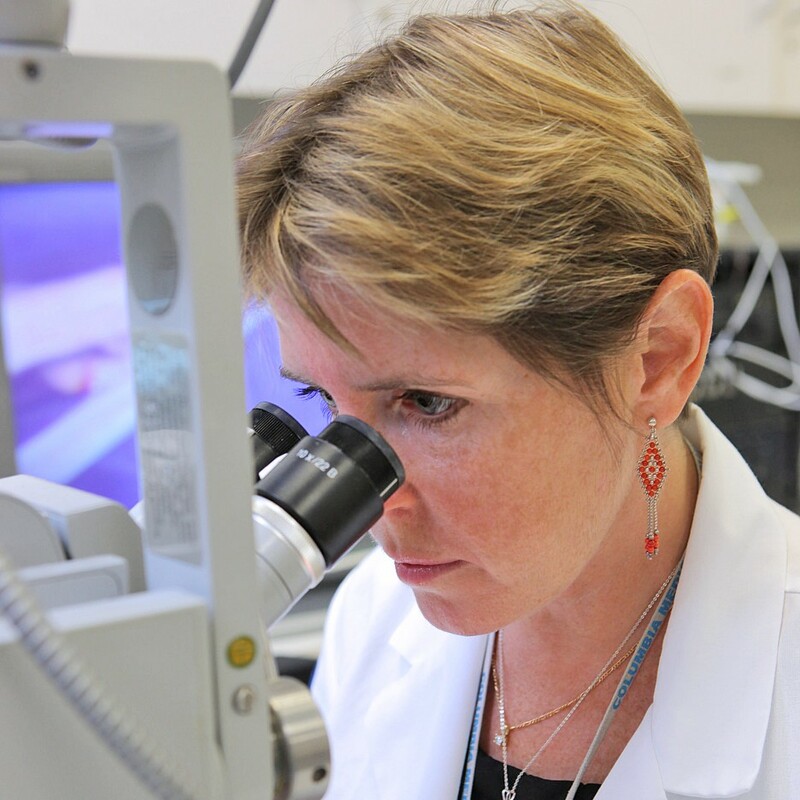 Yelena Akelina, DVM, MS is a Research Scientist and a Director/Instructor in Clinical Microsurgery at the Microsurgery Research and Training lab at the Department of Orthopaedic Surgery, Columbia University. She has been teaching microvascular surgery to different medical professionals from all over the US and abroad since 1996. Dr. Akelina completed her Doctrine of Veterinary Medicine from Moscow Veterinary Academy in 1987 and obtained her Master Science in Toxicology in 1991. Dr. Akelina is one of the founders of IMSS (International Microsurgery Simulation Society) and an active member of many other domestic and international societies for microsurgery such as WSRM (World Society for Reconstructive Microsurgery), ASRM (American Society for Reconstructive Microsurgery), RAMSES (Robotic Assisted Microsurgical and Endoscopic Society), and ISEM (International Society for Experimental Microsurgery). The program she runs at Columbia University trains microsurgery to more than 200 surgeons and researchers a year from many institutions from all over the US and more than from 60 countries. The main goal of the training program she directs is to teach surgeons to operate on very small vessels (1mm diameter) and nerves using microscopes so they can perform similar surgeries on people and save lives. Honorary member of the faculty of MSc Reconstructive Microsurgery team. Very good course. Individual attention. Individual program if needed. A lot of exposure to microsurgery. This course is phenomenal, highly recommended. Yelena and Celine were amazing all week, incredibly patient and giving lots of wonderful hands on advice. The skills taught were challenging, but broken down to easily digested learning portions. The microsurgical skill set is very transferable to many different applications. I look forward to sharing some of these skills with my residents. Excellent course, with great faculty and facilities. Very enjoyable and well run. I recommend the Microsurgery Course. very useful course in technique and ability to practice with immediate feedback. Would recommend to anyone interested in hand surgery; especially for upper-level residents and hand surgery fellows. Yelena and her interns are readily available for teaching and improving technique throughout the course. Yelena and her team were very patient with me and allowed me to tailor the course to my clinical needs. It's the hardest thing I have ever done but I definitely improved throughout the week. I do recommend the course for all levels of experience. I really enjoyed this course and my confidence in microsurgery bloomed! The facilities are second to none and for my level of expriece (CT2/ST3 transtion in UK system) I can think of no better way to learn, lots of time to go at my own pace and space to make mistakes and correct them with excellent feedback from Yelena, our trainer. A superb course, I will be reccomending it to all my plastic surgery colleauges. I highly recommend this course to anyone interested in microsurgery, or who wants to horn in on this difficult skill. It's a very informative course with complete hands on experience. No more than 3 students per week so the attention is really one on one and Dr Yelena is the BEST ! Best course I've ever attended, the faculty were extremely organized and were able to tailor the experiences for each one of us, small grouping "3" made it possible for the faculty to monitor our progression and ensuring that we get the maximum out of these 5 days. Having zero experience in Microsurgery at day one, and being able to perform vein grafts by the end of the course can tell how useful it was. EXTREMELY RECOMMENDED. The knowledge and experience of Yelena, assistance from the highly trained and capable interns such as Amro, and small group setting of the course (maximum of three) make this probably one of the best microsurgery courses in the world. I would highly recommend it if you'd like to learn micro from scratch or brush up and develop your existing skills. Many thanks! The course and personel overpassed my expectations. Academic level and Hospitality were the Highest features I ever seen in an International trainning. I recommend it doubtlessly. Great Course, learnt a lot. Apr 23, 2019 Very good course. Individual attention. Individual program if needed. A lot of exposure to microsurgery. Apr 19, 2019 This course is phenomenal, highly recommended. Yelena and Celine were amazing all week, incredibly patient and giving lots of wonderful hands on advice. The skills taught were challenging, but broken down to easily digested learning portions. The microsurgical skill set is very transferable to many different applications. I look forward to sharing some of these skills with my residents. Jan 13, 2019 Excellent course, with great faculty and facilities. Very enjoyable and well run. By Dr. Paul J. P.
Dec 15, 2018 I recommend the Microsurgery Course. Dec 9, 2018 very useful course in technique and ability to practice with immediate feedback. Would recommend to anyone interested in hand surgery; especially for upper-level residents and hand surgery fellows. Yelena and her interns are readily available for teaching and improving technique throughout the course. Dec 2, 2018 Yelena and her team were very patient with me and allowed me to tailor the course to my clinical needs. It's the hardest thing I have ever done but I definitely improved throughout the week. I do recommend the course for all levels of experience. Sep 17, 2018 I really enjoyed this course and my confidence in microsurgery bloomed! The facilities are second to none and for my level of expriece (CT2/ST3 transtion in UK system) I can think of no better way to learn, lots of time to go at my own pace and space to make mistakes and correct them with excellent feedback from Yelena, our trainer. A superb course, I will be reccomending it to all my plastic surgery colleauges. Jul 14, 2018 I highly recommend this course to anyone interested in microsurgery, or who wants to horn in on this difficult skill. It's a very informative course with complete hands on experience. No more than 3 students per week so the attention is really one on one and Dr Yelena is the BEST ! Jul 13, 2018 Excellent course! Jun 22, 2018 Best course I've ever attended, the faculty were extremely organized and were able to tailor the experiences for each one of us, small grouping "3" made it possible for the faculty to monitor our progression and ensuring that we get the maximum out of these 5 days. Having zero experience in Microsurgery at day one, and being able to perform vein grafts by the end of the course can tell how useful it was. EXTREMELY RECOMMENDED. Jun 15, 2018 The knowledge and experience of Yelena, assistance from the highly trained and capable interns such as Amro, and small group setting of the course (maximum of three) make this probably one of the best microsurgery courses in the world. I would highly recommend it if you'd like to learn micro from scratch or brush up and develop your existing skills. Many thanks! Jun 11, 2018 The course and personel overpassed my expectations. Academic level and Hospitality were the Highest features I ever seen in an International trainning. I recommend it doubtlessly. Jun 2, 2018 Great Course, learnt a lot.